Hero Histories: Video Fridays: The Man of Bronze IS the Man of Steel! Video Fridays: The Man of Bronze IS the Man of Steel! 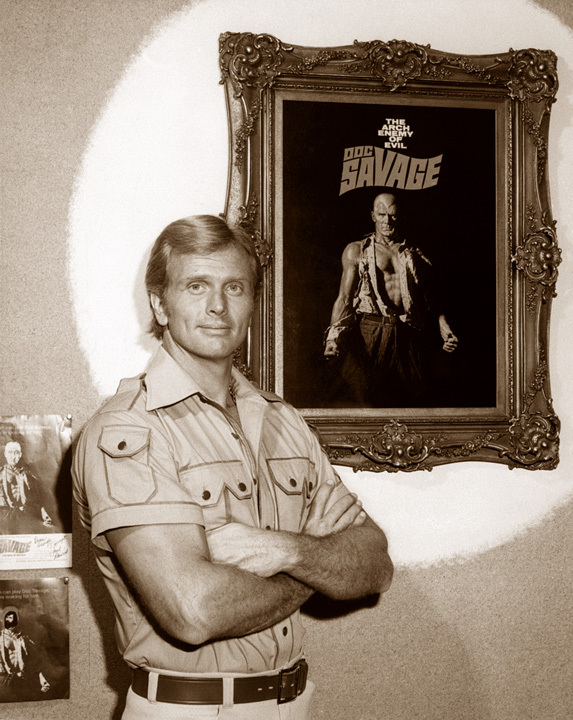 The recent Doc Savage posts have produced some of the biggest hit counts this blog has ever seen! So, for this week's videos, we're going with The Man of Bronze and Ron Ely as two Clarks, one Bronze, one Steel! First up, the original theatrical trailer...Have no fear! The Man of Bronze is HERE! The two major fight scenes in the flick in one clip! And a very special treat: Ron Ely as the Golden Age Superman! From The Adventures of Superboy third season finale; "The Road to Hell Part II"
Coming soon: The Doc Savage stories from Marvel Two-in-One and Giant-Size Spider-Man, as well as the Giant-Size Doc Savage one-shot, none of which are included in DC's trade paperback reprint ! PLUS: the not-reprinted text features and pin-ups from the various Marvel comics and b/w magazines! The Shadow's Silver Age run from Archie Comics! The COMPLETE Fox/Farrell Phantom Lady by Matt Baker! The Green Hornet (Golden AND Silver Age)! Jet Dream and Her StuntGirl CounterSpies: the Complete Saga! ..and much MORE superhero(ine) stuff from 1938-1978!